$32.00 (USA); $36.00 (Canada); $46.00 (Other Countries). Address Changes must be made at least six weeks prior to the ON-SALE date. Send address changes, including old and new addresses, to PO Box 673, Rhinelander, WI 54501-3777. We cannot be responsible for copies which are not forwarded by the Post Office. Duplicate copies not guaranteed. 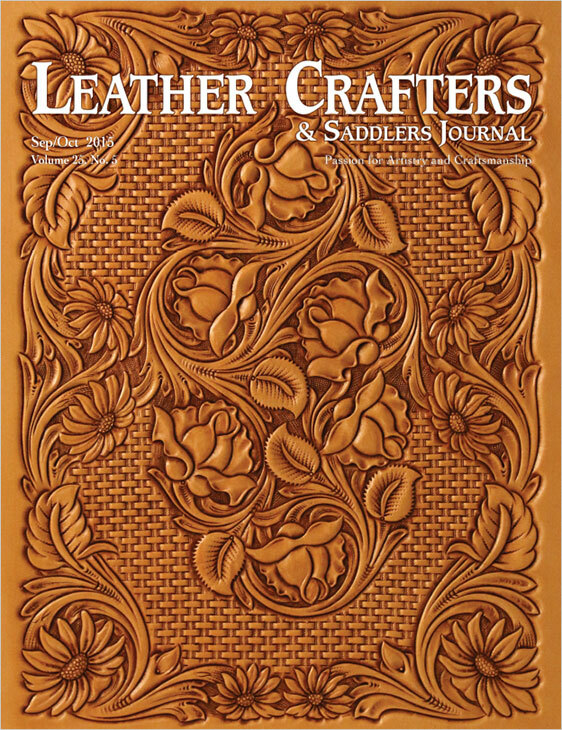 © 1996 Leather Crafters & Saddlers Journal, Inc. All rights reserved. Articles and photos are welcome and will be handled with care, but we cannot be responsible for their safety. Include name, address and phone number of author on first page of article. Text should be typed, doublespaced, on white paper. Label back of photos with identification of subject, credit line and return address. Enclose a SASE with correct postage for return of unsolicited material. Name and address of writer required on all letters to the editor. All submissions are subject to editing for clarity and length. The opinions expressed in articles and letters are those of the authors and not necessarily those of the publisher.